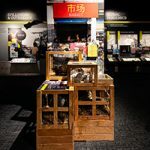 To mark the hundredth anniversary of the 1918 “Spanish flu”—which killed at least 50 million people worldwide—the Smithsonian’s National Museum of Natural History recently opened an exhibit that explores how human pandemics emerge from animals and the environment. Serving as the chief scientific adviser of Outbreak: Epidemics in a Connected World was Jonathan Epstein, V02, MG02, an international expert in Ebola, Nipah virus, severe acute respiratory syndrome (SARS), and other zoonotic diseases. Here, Epstein comments on a few displays in the exhibition, which runs through 2021 in Washington, D.C. When fresh biological material is no longer available, scientists can use the latest technologies to study preserved remains for clues about how diseases operate. 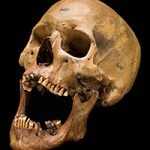 The skull pictured here, of a man who died in 1929 while infected with influenza and tuberculosis, is even today yielding new information about other microbes and pathogens thanks to DNA found in the hardened plaque on his teeth. “This shows how museum archives can play a pivotal role in exploring historic epidemics,” Epstein said. “We wanted to share the human stories of outbreaks and the ways in which society has dealt with them,” Epstein said. These items memorialize the early days of the AIDS epidemic, when “gay men were watching their friends die from an infectious disease, and the medical community didn’t have a good answer for them.” Public-awareness campaigns, and protests about the lack of progress, finally led to a turning point for AIDS research and treatment in the 1990s.